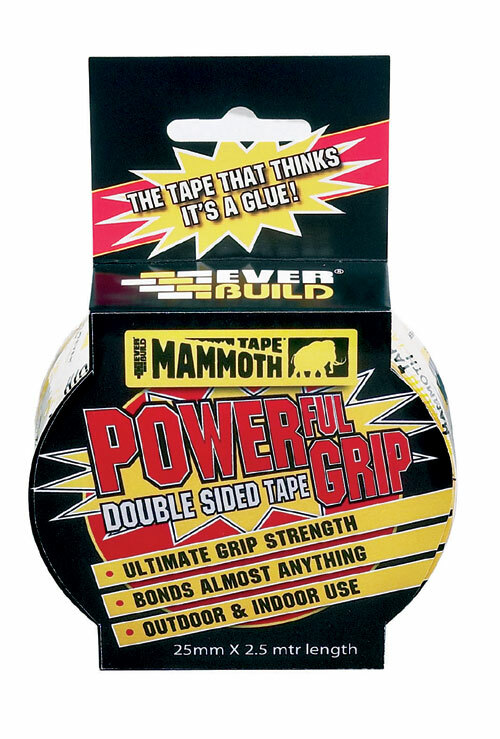 Everbuild - Mammoth Powerful Grip Tape is a new type of Double Sided tape that breaks the rules, with an incredible immediate bond strength that has to be seen to be believed. It will bond to virtually any material, indoors or outdoors including ceramics, brickwork, wood, metal, plastics and pvc. It is moisture resistant and will not degrade with U.V light. Ideal for use in the home, industry, construction and office. 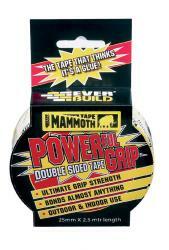 Can be used in many applications to replace drilling, plugging and unsightly screws.